De cluttering is one of the first and major steps you will take when preparing your home for sale. However, there is a difference between de cluttering and stripping a home of any style or warmth! I have viewed properties where the home owners were so overwhelmed by what should and should not be in a room that they packed up most everything, leaving the home feeling cold and empty. Don’t scare away buyers by making a costly mistake! Here are a few tips to help you de clutter like a pro! Remove personal photos, awards and religious items. This will keep buyers focused on the features or your home instead of being curious about your personal life. Remove items that are not showing the proper purpose of a room…for example, remove exercise equipment from the master bedroom, remove computers from the dining room and etc. This will keep buyers clear about how their family will be using each space helping them to see how your home will fulfill their needs. Remove items that are too large or too small for the space or items that make the room look unbalanced or odd shaped. This will show buyers how a practical furniture arrangement will work and that their current possessions will easily fit in the room. The last very important and sometimes most difficult for home sellers…De cluttering accessories and décor! Remove all accessories and wall décor from the room, sorting into piles of like items. Be sure to make one pile for personal or outdated items to be packed up and one pile for items to be tossed or donated. 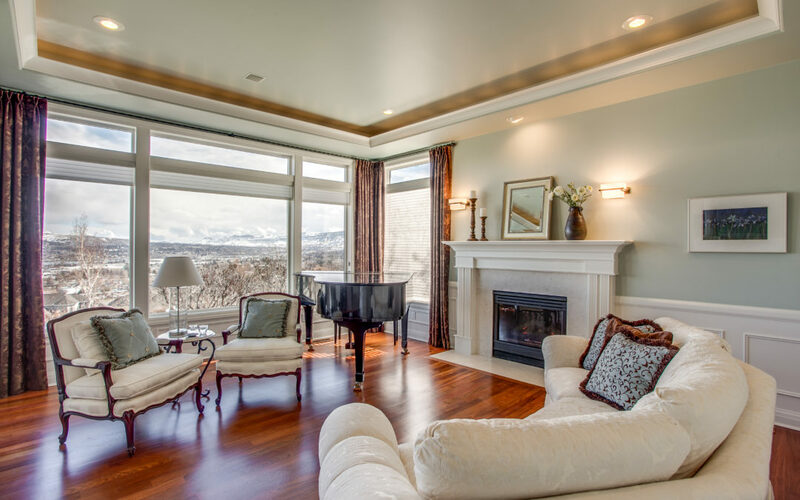 Rearrange your furniture, making sure to highlight any of the rooms’ features such as fireplaces or view windows. Pick accessories and wall décor that go with your selected color scheme and place them in the room one at a time. Step back and look after you have placed each one to make sure you are not putting too many items back into the room. Pack up any leftover items for the move to your new home! Having the proper furniture arrangement and décor will maximize your space, highlight the rooms’ purpose and give your home a bright, updated feel… all of what buyers are looking for! Need help? Designs for Living has a wide variety of home staging services to fit your needs, from Home Staging Consultations to Décor Update Packages! Check us out at www.designsforlivingwenatchee.com.